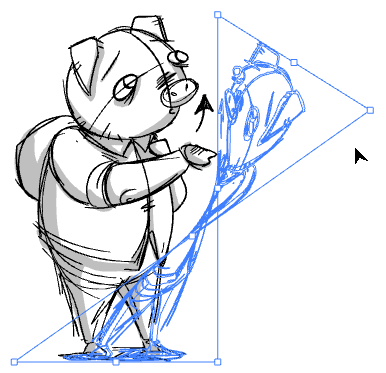 When drawing on vector layers, the Perspective tool enables you to deform a drawing selection and alter its perspective. 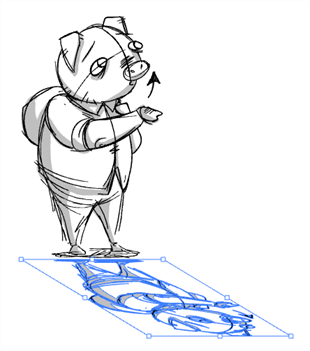 NOTE To learn more about the Perspective tool options, see Perspective Tool Properties. In the Stage view, select the drawing you want to deform.